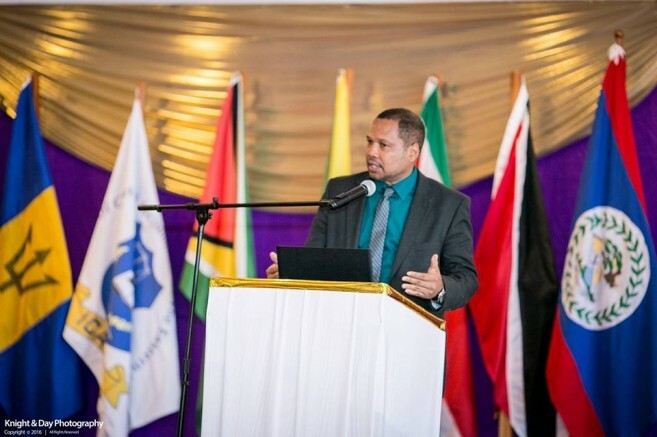 City of Belmopan, September 13th, 2018- The Belize Trade and Investment Development Service (BELTRAIDE) is pleased to announce the appointment of Dr. Leroy Almendarez as the organization’s new Executive Director. Dr. Almendarez will officially assume this new role on September 17th, 2018. Dr. Almendarez joins BELTRAIDE after serving as an Assistant Professor at the University of Belize’s Faculty of Management and Social Sciences (FMSS), where he taught International Business, Socioeconomic Development, and Small Business Management. His background uniquely positions him to assume this post as BELTRAIDE’s Executive Director as he previously served as the Director General of Foreign Trade under the Ministry of Investment, Trade, and Commerce. Here, he leads the task force that finalized the National Trade Policy Framework and saw the Directorate of Foreign Trade transition into the Directorate General for Foreign Trade (DGFT), a full-fledged department of the Ministry Under the auspices of the DGFT, Dr. Almendarez chaired the Trade Technical Team, which incorporates membership from Ministries of the Government of Belize (GOB). For over six years, Dr. Almendarez was the Director of Tariffs and Administration at the Belize Public Utilities Commission (BPUC), where, during his tenure, he lectured on utility regulation twice a year, for over five years, at the Public Utilities Research Center (PURC) of the Warrington College of Business Administration of the University of Florida in Gainesville, Florida. His exposure as a representative of Belize at the Council for Trade and Economic Development (COTED) in Guyana and interfacing with other regional and global colleagues in Brussels of Geneva has allowed him to establish a very beneficial and strategic network. Dr. Almendarez holds a Doctorate Degree in Organizational Leadership from Nova Southeastern University, Fort Lauderdale, Florida and an MBA from the University of the West Indies, Cavehill Campus. We believe that Dr. Almendarez’s passion and commitment to economic development and trade coupled with his years of experience working in management make him well-positioned to lead us in forwarding our mission to enhance Belize’s prosperity by fostering investor confidence, entrepreneurship, business growth, and innovation. We welcome Dr. Almendarez to our team and look forward to his contributions to the successes of BELTRAIDE!